Whether you're flying across the Atlantic or just to the Halloween party next door the Aviator Helmet & Goggles goes great with your pilot of aviator themed costume. 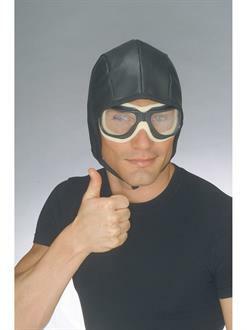 This item comes with black vinyl helmet and goggles! Fire up the engines and get ready to take flight with stylish being the next destination!